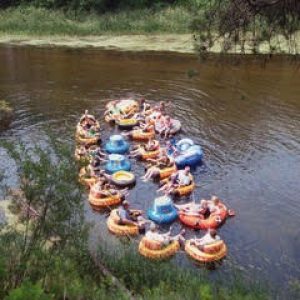 Water Recreation - Dan's All Season Service Inc.
One of the delights of living in Minnesota lake country is that the water offers so many pleasures. It’s relaxing to simply stare at the beautiful scenery while doing nothing more than sitting on the lake shore. But you ought to take better advantage. Don’t settle for having fun at the lake when you could have twice as much fun with it. Just float about leisurely in a chair with a cooler at your side. Or take out an inner tube or wake board for the most enjoyable exercise that you’ll have all summer. Whether you’re looking forward to trying your hand at water skiing, tubing down the river, or just splashing in the lake, Dan’s All Season Service, Inc. of Park Rapids, MN has all the accessories you need. You’ll find fun for all ages — and lots of life jackets to keep everyone safe. Dan’s All Season Service, Inc. has several pontoon trailers available to rent. The trailers require a two inch ball that our customer’s should provide on their own. Come see us today and we will get you geared up and ready to enjoy a day out on the water. We will get back to you as quickly as our schedule allows.